Can you tell what I am making? So at the moment my daughter and I are still in the back-to-school mode. 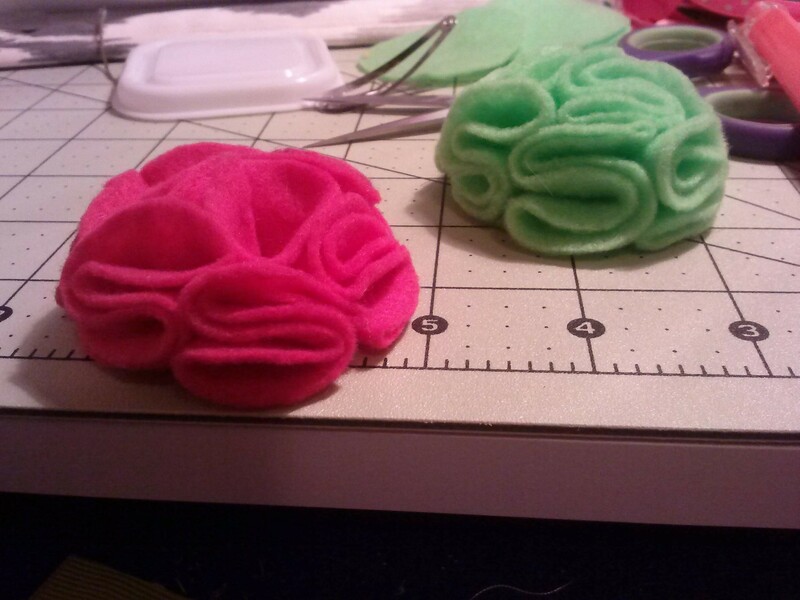 I made a couple of these puffy flower bows perfect for the occasion. By the end of the week, we will have one in every color! Next Mickey Mouse Cupcake Toppers Are Here!